Strides Walk 2017 is Here! It is time to lace up those walking shoes and join us on the 2017 Strides Walk track! The 2017 Strides Walk will go from 10am – 6pm, plenty of time to come over and join the fun! The party won’t stop at 6pm though! DJ Trader Whiplash will keep things going until 7pm and then DJ Anni Braveheart will take over to wind things down from 7pm – 9pm. If you would like to sponsor a walker, it is not too late! Just click here and choose the name of the walker you would like to sponsor! To keep the Walkers moving on the track we have a full day of great DJs lined up! Come show your support for Making Strides Against Breast Cancer! 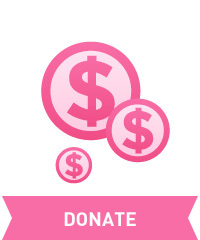 Dance to the music, encourage the Walkers, do some shopping and explore the Making Strides sim! This entry was posted in american cancer society, Committee event, making strides, second life and tagged #acs, #American Cancer Society, #breast cancer awareness, #cancer, #TEAMMSABCofSecondLife, 2017 MSABC in SL, ACS, awareness, events, Making Strides Against Breast Cancer, making strides against breast cancer across second life, MSABC, strides walk, Strides Walk 2017, Treasure the Chests on October 21, 2017 by sandieloxingly.